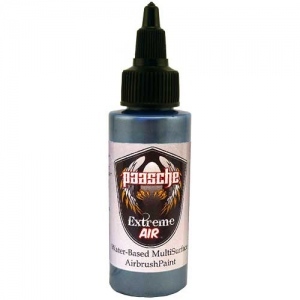 Pearl Paasche Extreme Air Multi Surface Airbrush Paint. Made in the US Paasche optimized Extreme Air acrylics to spray effortlessly with an airbrush. Reduced clogging and tip dry in addition to great atomization gives unmatched results. 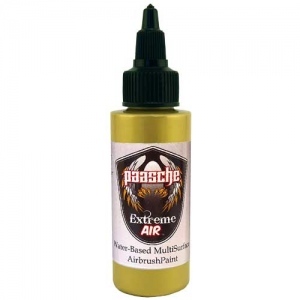 Extreme Air can be used on any surface from fabrics and plastics to metals. Combine colors to create hundreds of custom colors. Easy pour spout for less mess Can be used with most airbrush head sizes right out of the bottle. 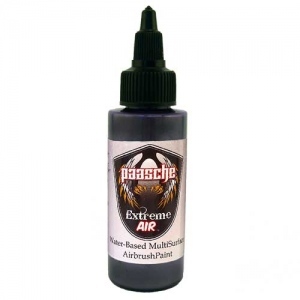 Use our Extreme Air Reducer to improve flow through smaller head sizes and to control paint drying in the tip and on the needle.